Today I begin a bonus section. 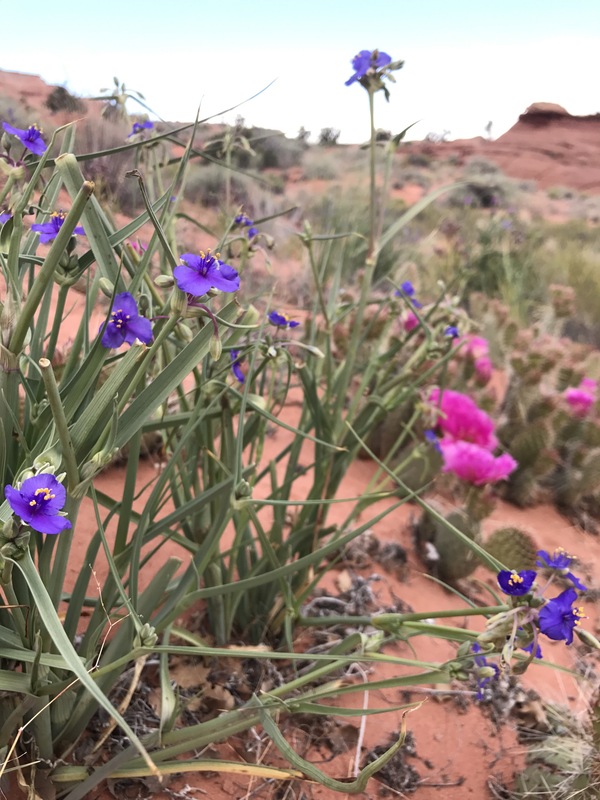 The main guidebook route basically follows the Arizona Trail straight south from Wire Pass to the Grand Canyon. 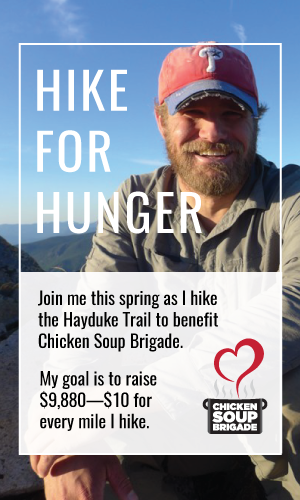 However, as the Hayduke is what you make of it, I’m choosing to add about 60 miles and 3 days to my hike by taking a detour route designed by Nic Barth. 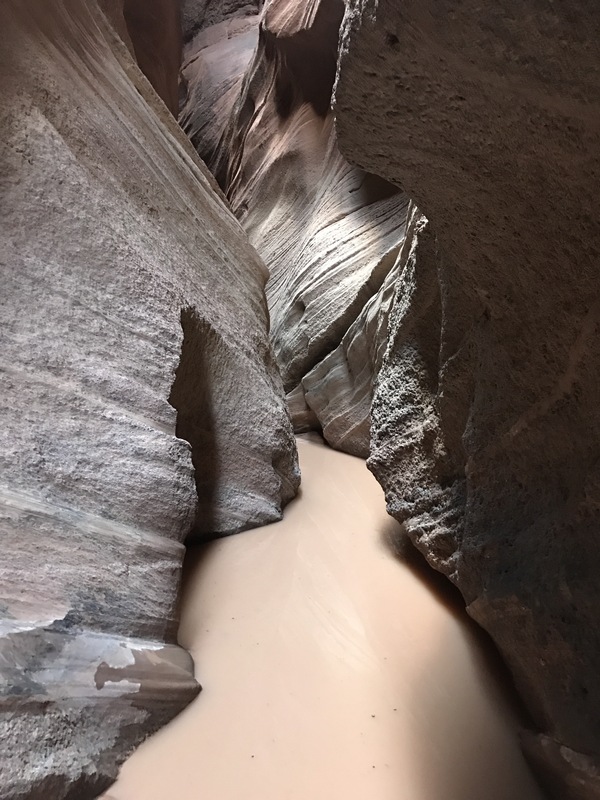 Buckskin Gulch, and the Paria are supposed to be absolutely fabulous and I was incredibly excited to start! 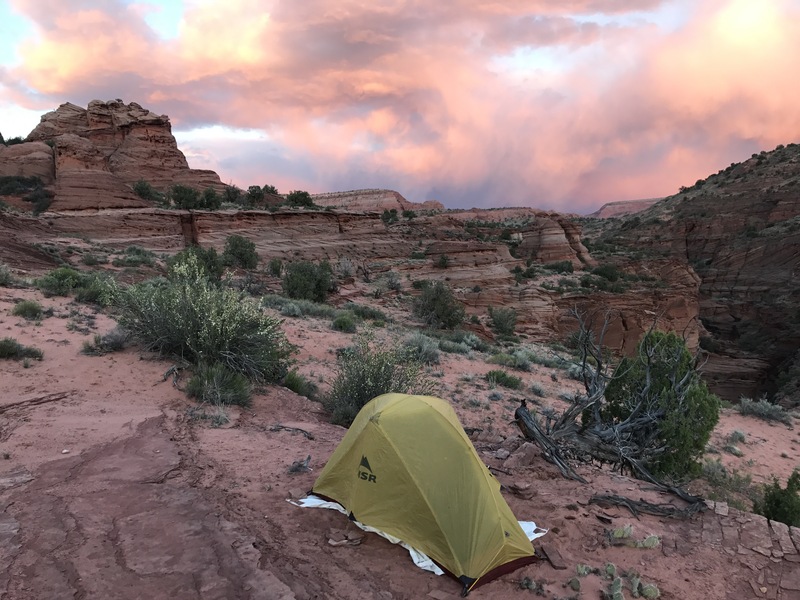 I slept in today since I knew it was going to be a super short day of hiking due to the permitting/legal camping issue. The only problem was that it meant I was getting my start at the same time as all the other groups in the area too! There were about 10 of us that all started within a few minutes of each other and it took a while for the parties to spread out. I enjoyed the hike back down Wire Pass, seeing the twists and turns and narrow spots from the other direction. 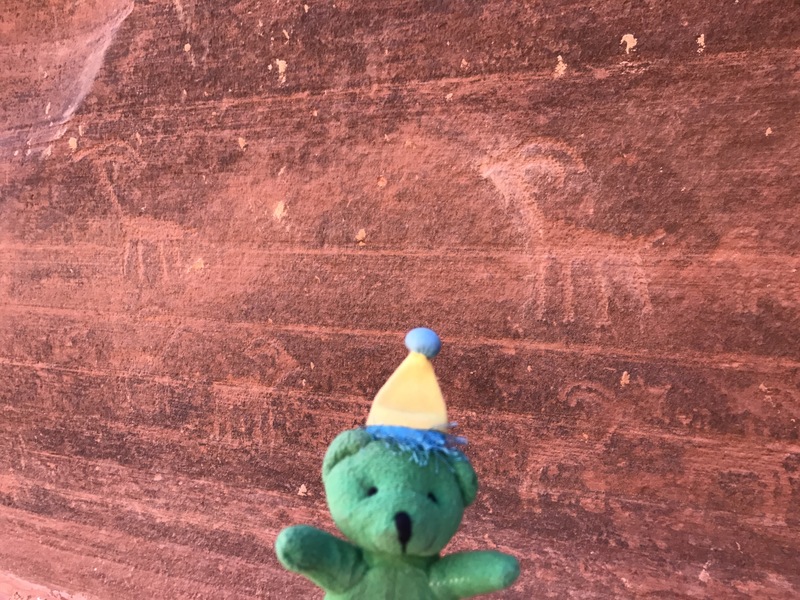 When I got back to the junction with Buckskin Gulch I was surprised to find that I actually had seen only a small bit of the petroglyph panel yesterday and had unknowingly hiked right by a huge portion of it! It took up most of a long stretch of wall. 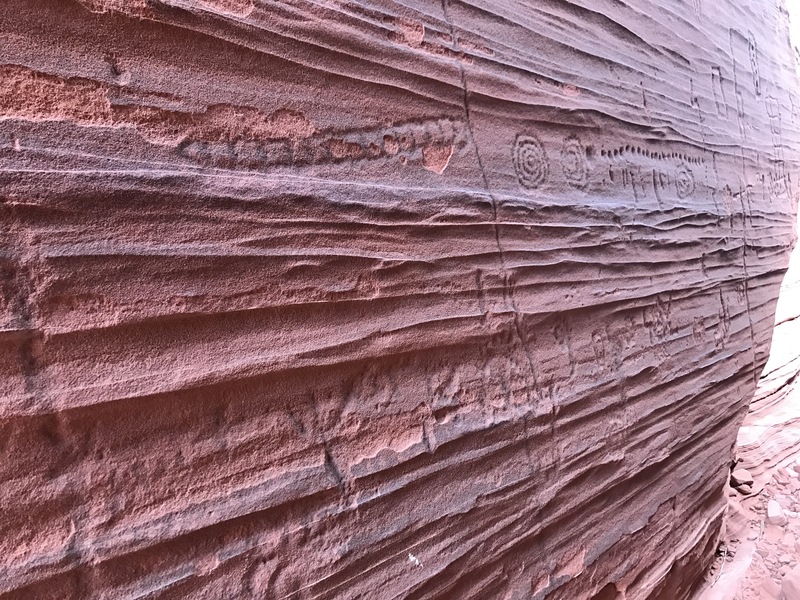 Some of the carvings were pretty faded with time but they still showed through carrying their messages whose meanings we can only begin to grasp. 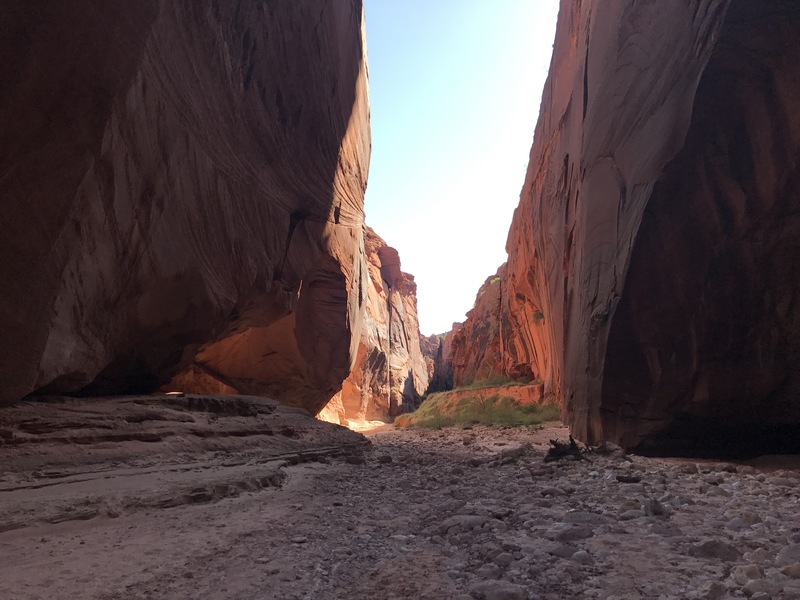 From there it was directly into lower Buckskin Gulch. And boy what a trip! 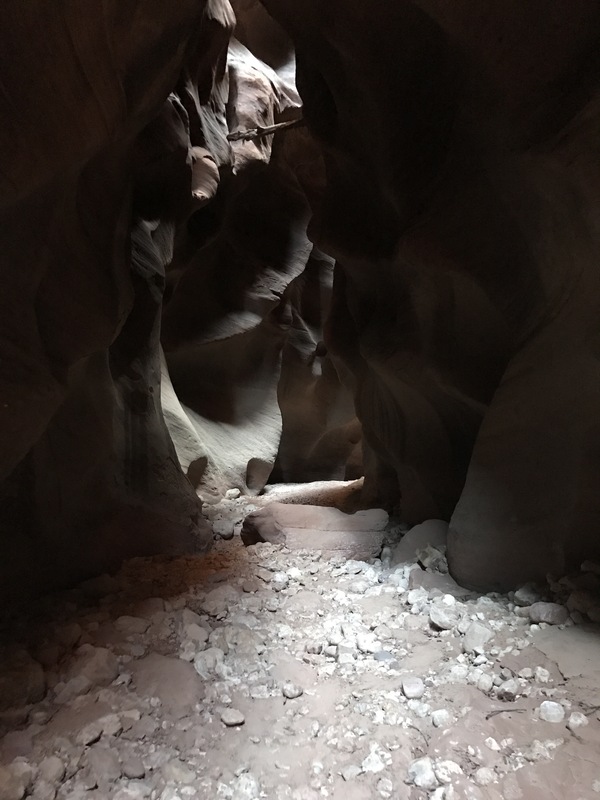 The other slot canyons I’ve been through tend to alternate- an intense narrow section and then it’ll relax and open up a bit. But not this one. Walking down the early morning slot. The slot has you and doesn’t let go. At least 100 feet up, most likely more and usually no more than 10 feet wide. You’re in it for the long haul. 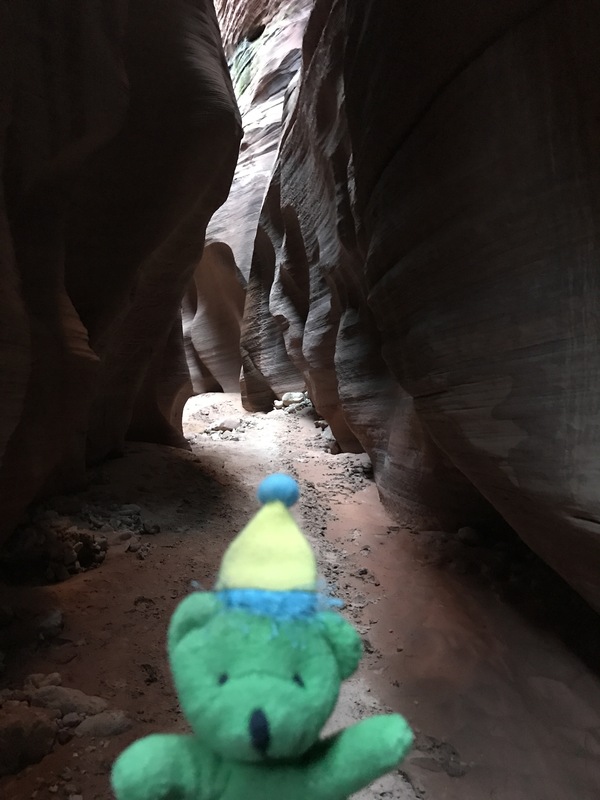 Admiring the sculpted walls of the canyon. It was dark and cool- direct natural sunlight was just a wishful dream for most of the way. It’s probable that some parts of the canyon down here don’t ever get direct light. Shadows abound in many spots down here. You rejoiced when it opened up just a bit, for short stretches and found some little green groves. A “wide” spot brings green benches and trees. They didn’t last long however and soon you were back to wondering how high the walls really were. Staring up at the glowing rocks. I could just barely see the sky. 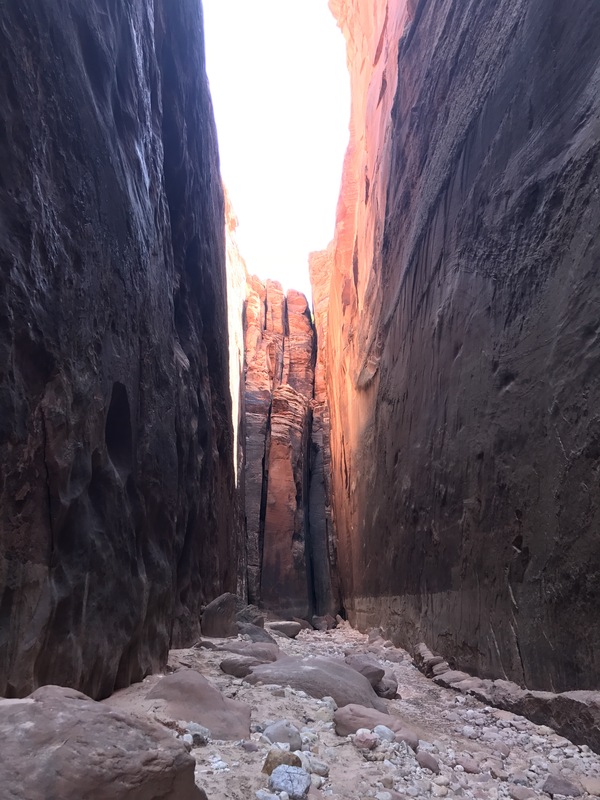 Every so often you would start walking towards the canyon wall thinking it was a dead end, not seeing the through passage shooting off at a 90 degree angle until the last second. In the beginning the floor was dry and mostly flat, though rocky, but about half way through the day the puddles began. Wet feet. Just a few puddles at first but then getting longer. And getting deeper. The first of many freezing cold waist deep pools. I started off ankle deep, but soon was regularly wading through up to my hips. And the water was about one degree warmer than ice. My feet and toes were like frozen ice blocks. They quickly lost feeling. I found myself starting to shiver and every time I approached another pool I faced it with dread. 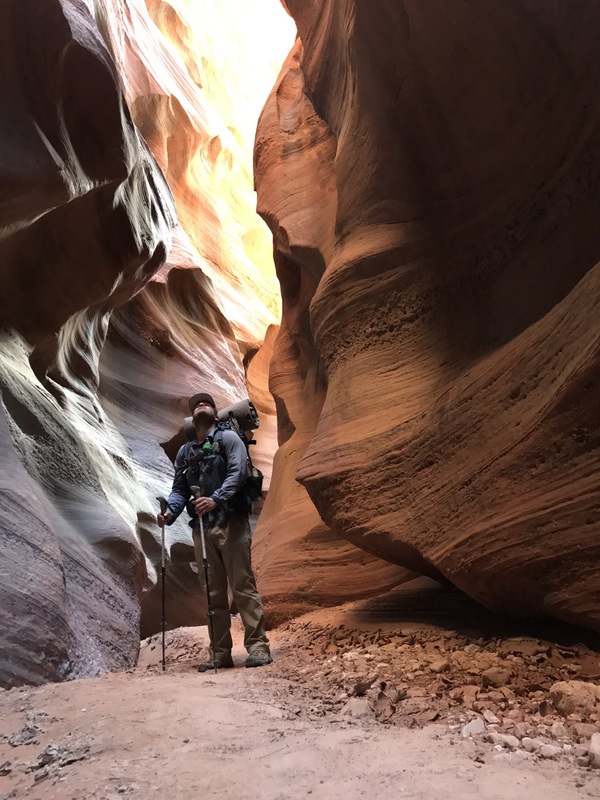 I checked my GPS to see how much further I had to go before my exit, but I was too deep in the canyon for it to find me. My pace slowed as my wet feeling-less feet stumbled over rocks and boulders. I couldn’t focus on the beauty anymore. Only on the chill. And then I was saved by the goats! Petroglyphs marking the Middle Exit could not have come fast enough. 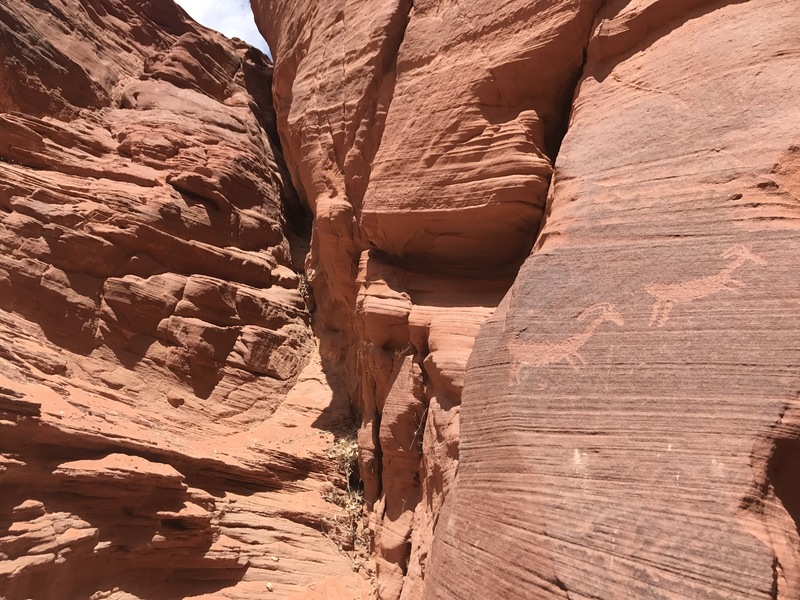 The canyon opened just enough to let in some sunlight (except it was cloudy) and a pair of petroglyph goats marked the exit. 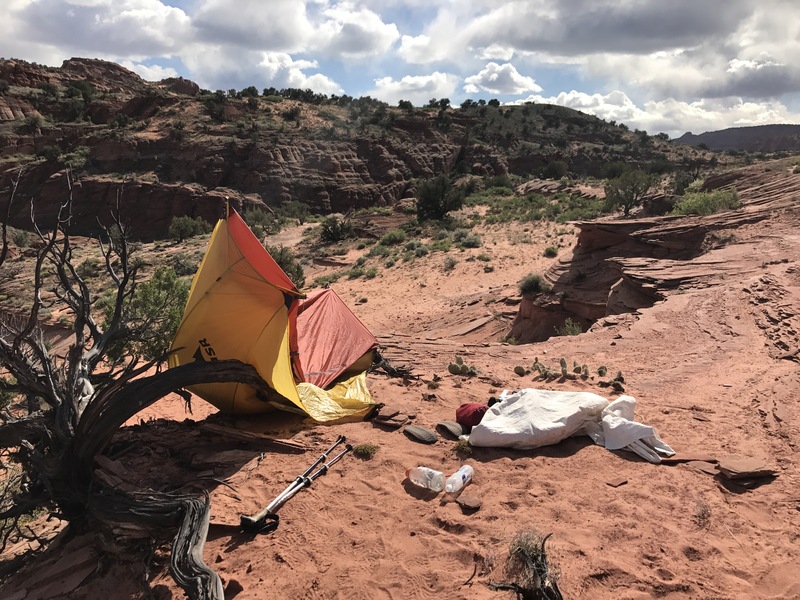 The Middle Exit is the only spot it’s possible to climb out of the canyon, and it’s also legal to camp up top without a permit.I carefully climbed up, noting the fixed bolts and cams placed around the crack I was climbing. Knowing I was done with the water I took a bit of time to take my shoes off and cradle my feet, rubbing heat and kneading feeling back into them. Up top I visited another petroglyph panel before finding my campspot, having lunch and setting up my tent- at not even 2pm!! If only I’d gotten the permits to camp down below. “Bear Paw” Petroglyph Panel. Much different symbology than the others I’ve seen. So neat! 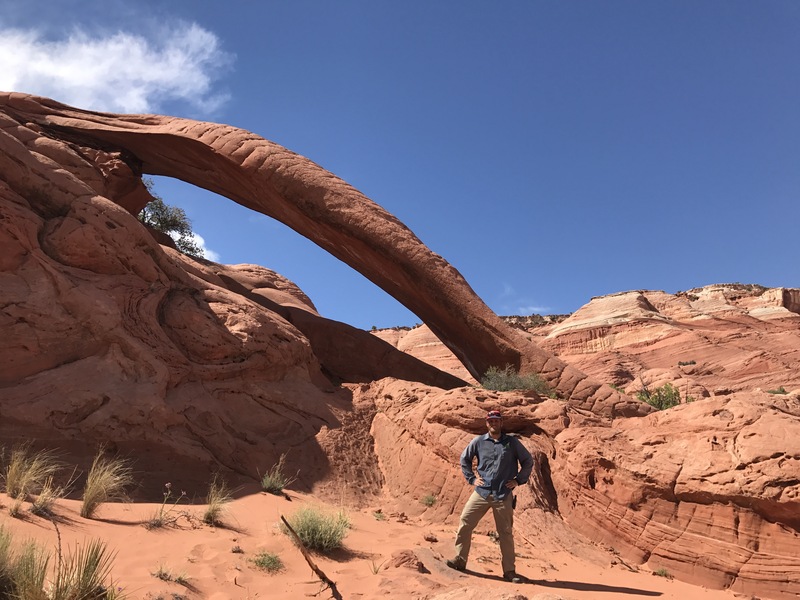 Since I had so much time left in the day and my feet were feeling better, I grabbed a bottle of water and headed out for a 2 mile side trip to see Cobra Arch. Traversing across the sand dunes was slow but fun. 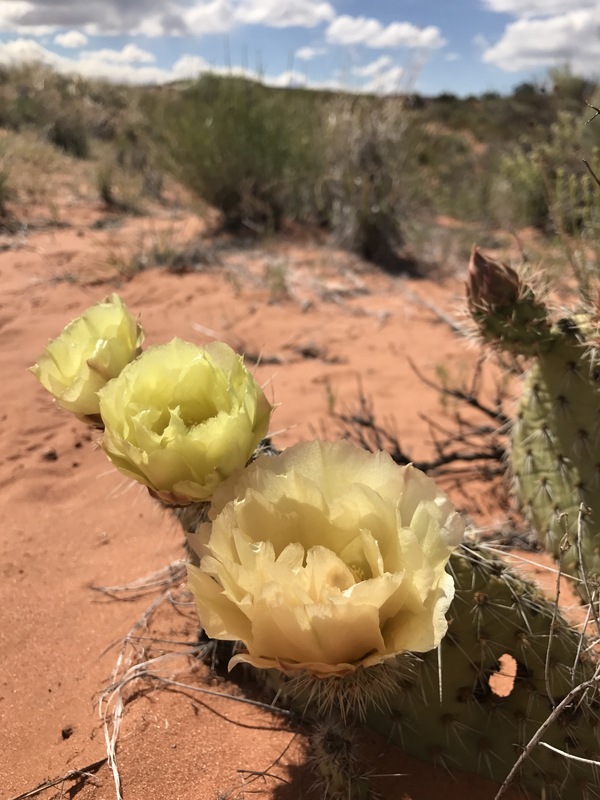 Everything up here is blooming! These small fellows were all over the campsite last night. Pricky Pear finally in bloom! 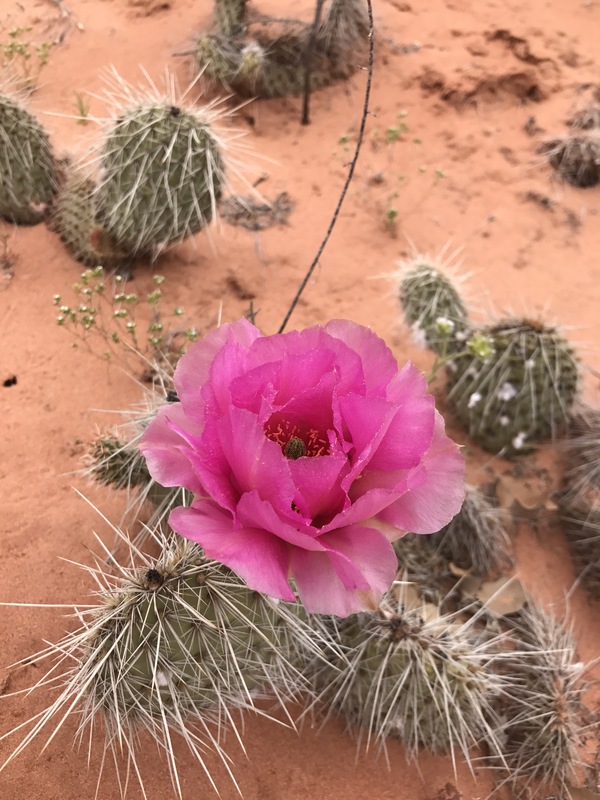 Pretty in purple with prickly pear pink behind. 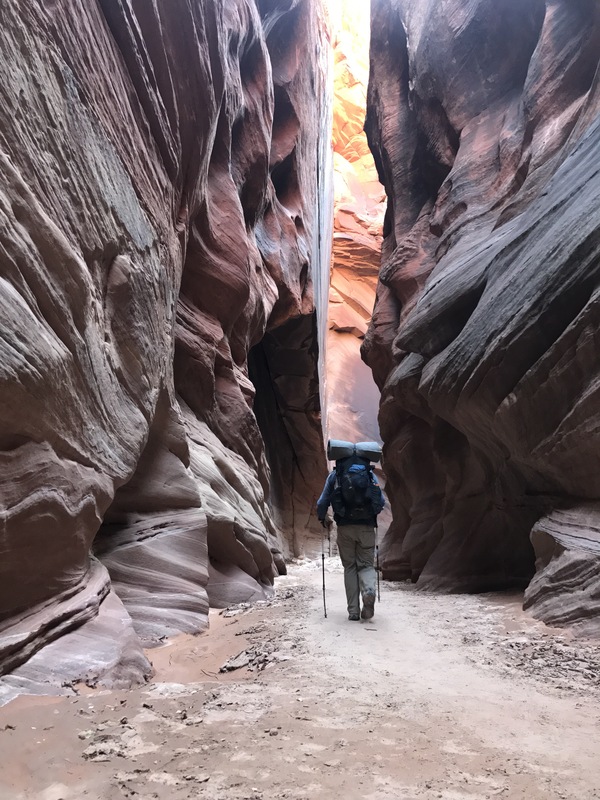 I took a winding way to the Arch up through some of the slickrock formations but I was pleasantly surprised when I arrived. It’s not big, but definitely evocative of its namesake. Waving down like the flare of a cobra’s hood. I swear the rock in the bottom right even looks like the smiling snake’s (large) head. Back to camp by 5 and then just time to relax….once I dealt with this…. Wrote some postcards, read a bit, cooked. It’s barely 8 now and I’m already tucked in my sleeping bag. The skies have been threatening rain most of the day, but I’ve been lucky as they’ve passed either east or west. It’s making for a beautiful sunset though! Today’s short day will be offset by a super long day tomorrow to get to the next legal camping, so the earlier rest and bedtime tonight will probably be good. 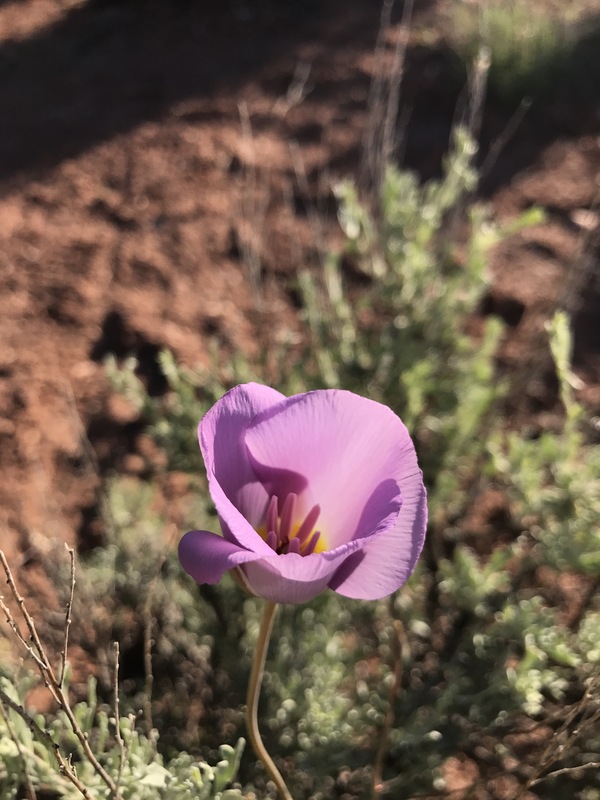 The three-petal lavendar flowers are sego lilies, and the purple three-petal flowers with the grassy leaves are spiderworts. 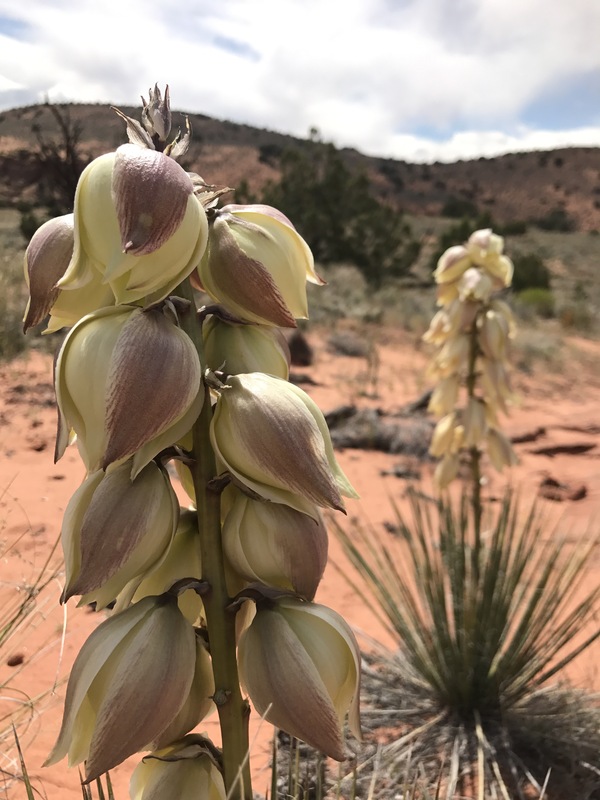 Saw them at Escalante last week. Beautiful.